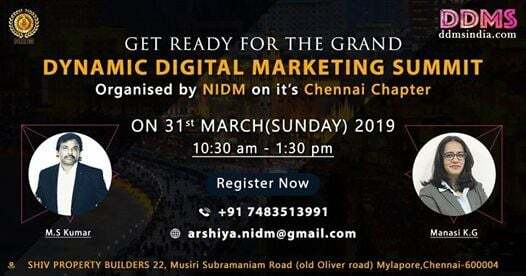 ?If you are thinking, what will be the outcome of attending this mega Dynamic Digital Marketing Summit?? ✔️Don't worry, here we have expert speakers with years of experience & they will clear all your doubts about Digital Marketing in this summit?. They will also share their Knowledge about latest developments in the world of Digital marketing. ✔️You will get to know, how Digital Marketing can boost your career and open endless opportunities. It will be explained how Digital Marketing is much beneficial as compared to Traditional Marketing. ✔️This summit will surely give direction to Entrepreneurs and job seekers. 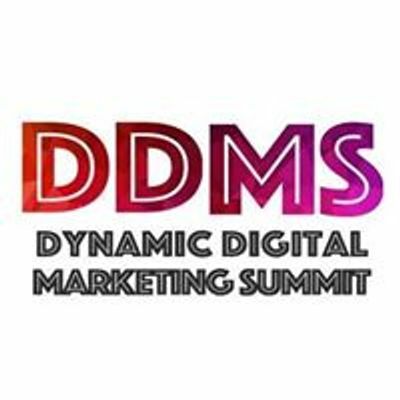 So you must attend this Dynamic Digital Marketing Summit? 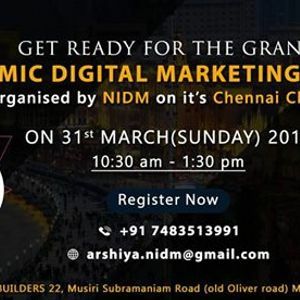 @Chennai because our awesome speakers will share about the vast career opportunities in the field of Digital Marketing. ?‍?M.S Kumar – Director, National Institute of Digital Marketing (NIDM), Digital Marketing Trainer with 11 years of experience. COMPETITOR ANALYSIS AND USING DIGITAL MARKETING TOOLS & Career opportunities in Digital Marketing. ?‍?Manasi KG- Independent Social Media Consultant with 15 years of experience. 1. OPLM (Online Presence Lifecycle Management) methodology or NAMDUS methodology 2. The latest in digital media. ?Hurry up, register soon for Dynamic Digital Marketing Summit. Meet the experts on 31st March (Sunday) and make productive use of Sunday.